波波仔（boboiboy） 'terbaik'. . Wallpaper and background images in the 波波仔（boboiboy） club. This 波波仔（boboiboy） photo might contain 标志, 海报, 文字, 黑板, 文本, 餐车, 晚餐, 小餐馆, 多工, and 多路复用. 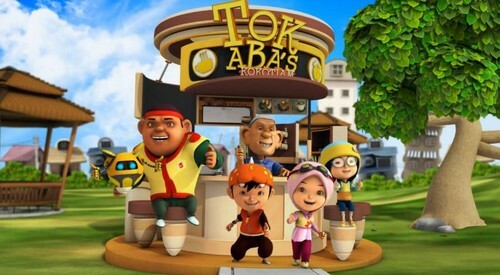 hehe 'terbaik', last scene of first season, thanks to those who watch Boboiboy season 1, don't forget to watch season 2. Please support Boboiboy.